The Key for School Leaders – a wealth of resources for school governors. ReallySchool – EYFS & KS1 Capturing Observations and tracking student learning. Curiscope – Augmented Reality resources for the classroom. Anderton Tiger – Amazing School Radio solutions and student training from Russell Prue. GDPR in Schools – Loads of useful resources and support packages for school GDPR. Now Press Play – Immersive audio bringing the curriculum to life. AACOSS – The association of Adult and Child online safety specialists. Trilby TV – Bring your schools digital signage to life with this fantastic school solution. Education Foundation – run a number of dynamic summits, events and roundtables for education, policy and business leaders across the UK and globally. Mark Anderson – @ICTEvangelist – Broad range of amazing INSET and Training sessions showing best practice with IT ( Google, Apple and MS certified trainer). Alan Mackenzie – @esafetyadvisor The eSafety adviser – bespoke eSafety training. Traci Good – @esafetytraining Online Safety training for staff and Governors. 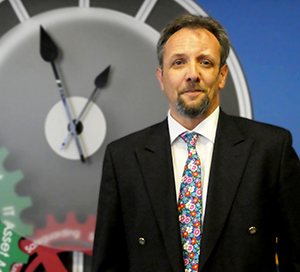 Russell Prue – @AndertonTiger School Radio, Literacy, Oracy, confidence and lots more. Adam Chase – @_GeekyTeacher, a fantastic resource for all things edTech. Paul Tullock – @MrTullock great trainer and ideas for Teaching with technology.